Ukraine’s finance ministry and holders of its sovereign Eurobonds have taken their dispute over debt restructuring public, as a mid-June deadline set by the International Monetary Fund (IMF) requiring final agreement on terms draws close. The ministry criticised the level of secrecy over the identities of the mainly anonymous bondholders, who through their representative, Franklin Templeton, in turn attacked Kyiv’s insistence on forcing a haircut on the notes worth around $10bn. Ukraine’s finance chiefs headed by US-born minister Natalie Jaresko said on March 12 they were “concerned” about the approach taken by the ad hoc committee representing the country’s external debt holders. “Despite numerous requests from the Ministry’s side, the [creditors’] committee refuses to reveal its membership, a highly unusual departure from standard practice in similar situations, and in stark contrast with IIF transparency and disclosure principles,” the ministry said in a statement posted on its website. It added that it was “determined to negotiate with the debtholders in a process which fully respects the commonly accepted principles of transparency, responsiveness and good faith”. Pressure is growing on the government in Kyiv to restructure its debts before the IMF reviews a $17.5bn aid deal on June 15. Only if it is satisfied its terms have been met, will the Fund release subsequent tranches of funding urgently needed to prop up the floundering Ukrainian economy. Before the transfer of the first $5bn IMF loan injection in March, Ukraine’s foreign-currency reserves fell by almost two-thirds in 12 months to just $5.6bn. The IMF targets include saving $15.3bn in four years through debt restructuring. Overhauls in the energy sector and implementing an effective anti-corruption programme are other measures demanded. Meanwhile, the finance ministry further criticised the Templeton-led bondholders for ignoring the aspect of debt sustainability in terms they had proposed for restructuring. 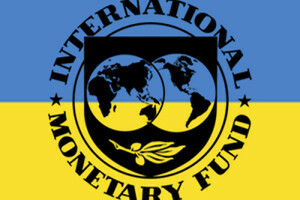 “Even though Ukraine and the IMF have repeatedly said that the three targets for the debt operation – liquidity, sustainability and payment capacity – have to be met, the committee in its public statements focuses exclusively on the liquidity aspect, and refuses to acknowledge the debt sustainability objective,” the statement said. Earlier the committee of creditors publicly criticised the finance ministry’s insistence on a reduction in the principal of the debt, arguing that IMF targets could be reached without a “haircut” that forces them to accept losses on the principal or coupons. The bondholders complained there had been no “substantative engagement” by the government since the committee submitted an initial offer four weeks ago. But Ukraine’s finance ministry retorted that “instead of engaging directly in constructive negotiations, the committee chooses to communicate unconstructively through the media”. It also rejected the claim that it was unwilling to engage with the creditors. “There have been numerous contacts and meetings between the ministry’s advisors and the advisors to the ad hoc committee,” the ministry said. “Last week, [Minister] Jaresko proposed to speak directly with the one known committee member to accelerate and focus negotiations but was told that it was unavailable to talk to her.” The “one known member” referred to in the statement is believed to be Franklin Templeton, while the indenties of the other creditors remain undisclosed. The creditors are calling for any debt restructuring to avoid reductions in the principal of the debt, referred to in colloquial finacial parlance as a “haircut”. “This [creditors’ proposal on restructuring] is a compromise that balances the stated debt-reduction interests of Ukraine and one of the investors’ objectives of avoiding a principal reduction,” the creditor group said in a statement on May 12, as reported by Bloomberg. Analysts are split on whether creditors can, or should, pressure Ukraine into a soft restructuring with no haircut. “As the external debt restructuring … is an integral part of the review, the creditors … could pressure Ukraine to yield to their demands, namely to avoid a reduction of principal reduction,” ICU analysts wrote. However, they believe it would be “self-defeating” for Ukraine creditors to force their position, since a no-haircut restructuring would render the restructuring unsustainable. “We believe that an effective restructuring must include a reduction of both the coupon rate and the principal. Should this not occur, the unsustainable debt burden inevitably will force Ukraine to endure another round of debt restructuring, mainly to implement the crucial principal haircut,” the note concluded. However, according to Concorde Capital analyst Alexander Paraschiy, the creditors are right to resist any haircut, since the savings to be attained through the proposed haircut are in excess of Ukraine’s needs. “The key question is whether Ukraine critically needs the up to $15.3bn in foreign currency savings that the initiated debt operation could bring,” Paraschiy wrote in a recent research report. The savings are intended to boost Ukraine’s international reserves to the level of 5-6 months import cover, according to the IMF’s calculations. “The government must explain to creditors why Ukraine should need to hike sharply its international reserves at the cost of bond holders,” Paraschiy argues. The key unanswered question, says Paraschiy, is how Ukraine should proceed with a two-year $3bn Eurobond bought by Russia in December 2013 as part of an aborted Kremlin bailout for Ukraine. Russian has since annexed Ukraine’s Crimean peninsula and is widely blamed for fuelling an anti-Kyiv insurgency in eastern Ukraine’s Donbas region, triggering national economic collapse. Ukrain’s finance minister Jaresko has been hostile over the Russian bond, apparently refusing to acknowledge it as official Paris Club debt, which may suggest readiness to default on, or restructure the bond. “At this point we see the Russian-issued, Russian- purchased bonds should be treated on equal basis with Ukraine’s other Eurobonds. We have no reason to believe at this point that they are anything other than a London type of credit,” Jaresko told CNBC Channel on April 16, according to Interfax. The IMF is not allowed to disburse funds to state in default on official debt, making the technical question of how the Russian-held bonds are classified a key concern for restructuring attempts. Russian Finance Minister Anton Siluanov retorted to Jaresko’s comments in April that Russia was the owner of the Eurobonds, and Ukraine should address Russia to ascertain this. In an IMF press conference in Washington DC on May 13, IMF director of communications Gerry Rice said the stipulated conditions for Ukraine’s restructuring remained valid. But he refused to commit absolutely on whether the IMF would not proceed with disbursals under the bail-out programme until the conditions were met. “It is vital that Ukraine and creditors reach an agreement (…) before our review [in mid-June],” Rice said. “We want and expect that outcome. It will be a very important consideration in the upcoming review as we need the financing assurances for the program to be in place, and assurances that remain sustainable with high probability in order to proceed,” he added.